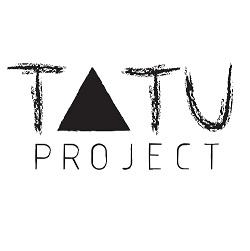 TATU Project is a non-pro:it organization that facilitates an equal and sustainable development for the rural community of Msitu Wa Tembo and Londoto in Northern Tanzania. We address community needs and build ef- fective solutions through active collaboration with members of Msitu Wa Tembo and Londoto and relevant sta- keholders. · Experience using customer/donor databases. Responsibilities as Research and Development (R&D) Coordinator: Review and preparation for the Baseline Survey 2019: Every 5 years, TATU undertakes a baseline survey, covering a representative sample of the communities of MWT and Londoto based on our KPIs and future research needs. Our current R&D Manager will be outlining next steps in order to prepare for the Baseline Survey 2019, which will need to be implemented by the R&D coordinator for an early 2019 start. TATU has a M&E system that is functioning at 60%. Some projects lack continuous, adapted data collection to monitor progress and results. To start with, we want to make sure that our Water project and Tree planting project get the structure, indicators and tools needed for proper M&E within our existing system. If time/capacity allows, a wider analysis of needs for improvements will be done for other projects. Ongoing research is happening for the Environmental framework that TATU aims to develop by end of 2019. There is already a small tree-planting project that we’d like to grow and complement with other initiatives. A lot of research has already been done on the agricultural side of things – which is also the main activity in the village. • Tree-planting: diversify with Moringa? Expand? Set up Environmental school club? The R&D Coordinator will need to stay flexible and support the R&D team with other priorities if needed and if capacity allows. The project involves many different fields (business, health, development…) and therefore we like to strongly underline the high level of FLEXIBILITY and cultural sensitivity required to work in the local cultural context. • The minimum time commitment is 6 months, preferably more. If the commitment is up to one year, conditions are negotiable. • VISA, flight, personal expenses on site, housing and insurance are at the charge of the volunteer. 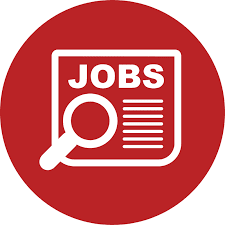 This job posting is not to be posted on other job board sites, do not post this position on other websites without authorisation from TATU Project. TATU Project is a non-pro it organization that facilitates equal and sustainable development for the rural community of Msitu Wa Tembo and Londoto in Northern Tanzania. We address community needs and build effective solutions through active collaboration with members of Msitu Wa Tembo, Londoto and relevant stakeholders. TATU Project is an organization that depends on its own funding activities as well as external funding. The main purpose of our fundraising strategy is to have a variety of income sources and to be as sustainable as possible. The Communication Coordinator will support the C&F department. - The internship is UNPAID. - The minimum time commitment is 6 months. Please send you CV and cover letter to to hr@tatuproject.org with the subject "Communications Coordinator Application from Idealist"